Drowsy Driving Just as Bad as Drunk Driving : Burns, Bryant, Cox, Rockefeller & Durkin, P.A. AAA recently conducted a study of more than 3,500 participants that examined the effects of drowsy driving in auto accidents. This study, which was part of the federally funded Second Strategic Highway Research Program Naturalistic Driving Study (SHRP 2NDS), closely examined drivers through the use of in-vehicle cameras over the course of several months. What’s worse, driving after missing even two or three hours of sleep could impact your driving as much as if you had had a few drinks before getting behind the wheel. That means that the dangers of driving while drowsy can be equivalent to the dangers of driving drunk. The only solution to drowsy driving, Nelson says, is getting adequate sleep. Many people in this country struggle from sleep deprivation. They may be new parents up frequently in the middle of the night, full-time employees who work a good deal of overtime, or night shift workers struggling to sleep during the day. 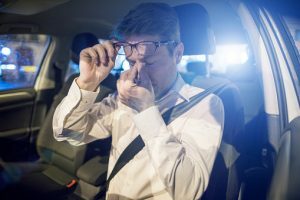 Whatever the reason, attempting to operate a vehicle without an adequate amount of sleep can have a real and lasting effect not only on the driver but also on everyone else on the road. The New Hampshire car accident lawyers at Burns, Bryant, Cox, Rockefeller & Durkin, P.A. know the impact of inadequate sleep when you’re out there on the road. We know that life is chaotic and demanding, but sleep needs to be a priority for all of us. If you begin to feel drowsy on the road, pull over as soon as possible and rest. Even closing your eyes for 20 minutes can help ensure you and everyone else on the road get home safely.